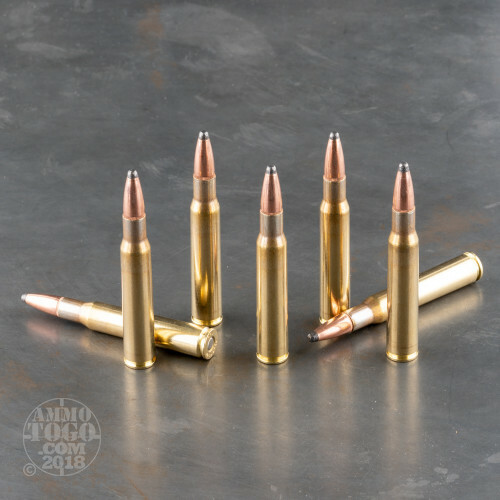 At their state of the art factory in Užice, Serbia, Prvi Partizan has specialized in the production of a wide variety of ammo beginning with their foundation in 1928. As Serbia’s military utilizes their products, PPU’s work is inseparable from their nation’s security. Hunters and shooting enthusiasts throughout the world recognize that great quality, so PPU has become abundantly popular wherever firearms are hoisted for any conceivable purpose. If you are aiming to add a new trophy to your wall this year, this 30-06 cartridge has got everything you need to bag a great buck. 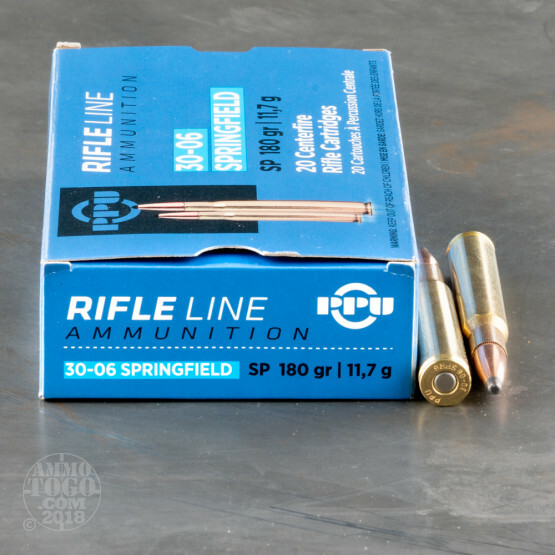 Its 180 grain projectile is a soft point, so it has the ability to widen substantially as it rockets through soft game. The bullet’s terminal performance is improved considerably by its jacket, which is concentric and controls deformation during penetration to make it reliable and all the more effective. 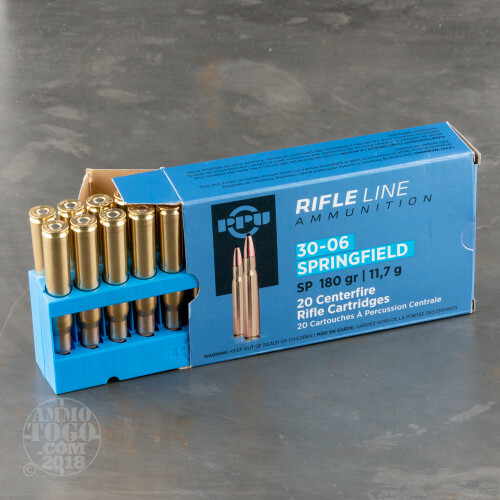 This round’s casing is fresh from the factory and made of sturdy brass, so you may return life to it many times if you’ve the reloading equipment for it. posted on 3/16/12 by ROGACIANO VILLALOBOS JR. This is good, cheap, and reliable ammo. Shot it with a Remington 700, no misfires. 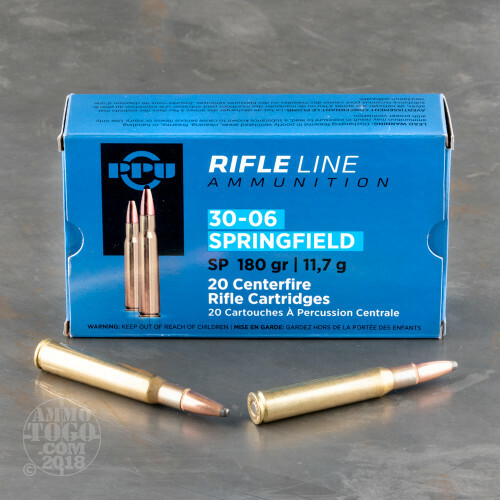 Would recommend to all if buying ammo on a budget and for zeroing.